Keen to shake off its ‘dirty man of Europe’ label, Britain is striving to reduce pollution and clean up our damaged environment. Rivers like the Ouse (and its tributaries like the Uck and Framfield Stream) have for long been treated as a ‘free waste disposal’ system, carrying away industrial chemicals, pesticides, and treated sewage effluent. Industry, agriculture and others have all been making changes to improve our disappointing record. Nonetheless, even though the Ouse may now look cleaner, its waters can still hide a big problem â€“ phosphate. Phosphate is a plant nutrient, useful on land as a component of fertilisers but in our waterways it allows nutrient-hungry algae to out-compete many aquatic plants, alter plant communities and in severe cases cause algal blooms which use up oxygen and ‘suffocate’ aquatic insects and fish. As well as threatening our wildlife, these processes can prevent us from using and enjoying rivers like the Ouse, threatening angling, water sports, shellfisheries, and polluting the very rivers from which we source our drinking water. Stopping phosphate pollution isn’t easy. Typically, as about a quarter comes from farmland run-off, advice schemes are now helping farmers to reduce the loss of fertilisers and soils from their land. The remainder comes from waste water generated by our homes and businesses. Despite significant improvements in standards, it can’t easily be removed at all waste water treatment works and, what’s more, private systems like septic tanks, a common feature in rural areas, can’t remove it at all so they discharge phosphate-rich effluent straight into the environment. But why is phosphate in our waste water in the first place? Perhaps unpalatably, much of it comes from us. It’s added to the food we eat, such as dairy and meat products, and so ends up in our sewage. But if changing your eating habits is a big ask, there is one area where every Framfield resident can easily help to make a difference. Phosphate in domestic cleaning products accounts for nearly a fifth of its total content in our waste water, so some selective shopping can prevent it being discharged into the Ouse. Whilst the Government have taken action to reduce the amount of phosphate in laundry detergents, many other products still have a high content. Dishwasher detergents are a particular culprit with some containing over a third by weight. However, low-phosphate alternatives are available. An easy, practical step is to aim for products containing 5% or less or to switch to those brands like Ecover, Planet Clean or Faith in Nature which contain no phosphate at all. A clean house doesn’t have to mean a dirty river. 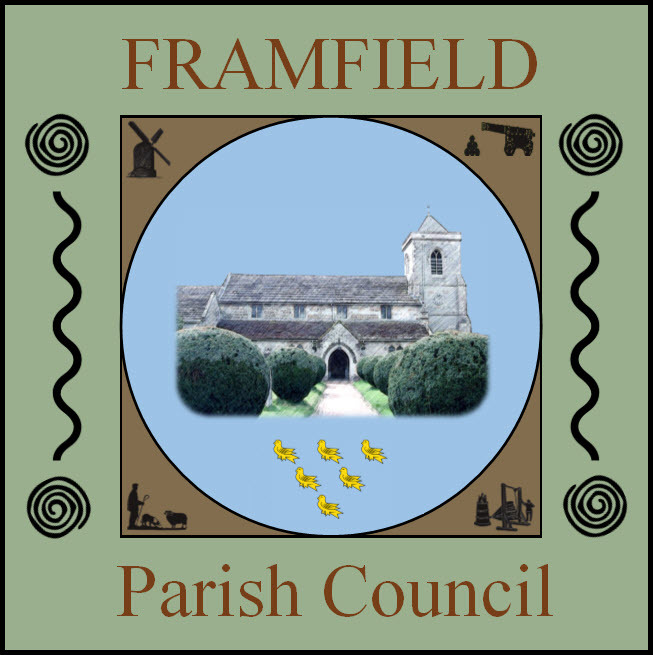 Framfield residents with septic tanks can make further changes to protect the environment. Avoiding harsh chemicals, binning instead of flushing rubbish, and regular servicing will help your tank work more effectively and help to avoid hefty repair bills. Want to know more? Find out about the Adur & Ouse Catchment Partnership’s work on phosphates and septic tanks at www.adurandousecatchment.org.uk. Leaflets can be obtained from the Ouse & Adur Rivers Trust (OART; www.oart.org.uk) by contacting its Chairman Dr Hew Prendergast: hew.prendergast@btinternet.com.